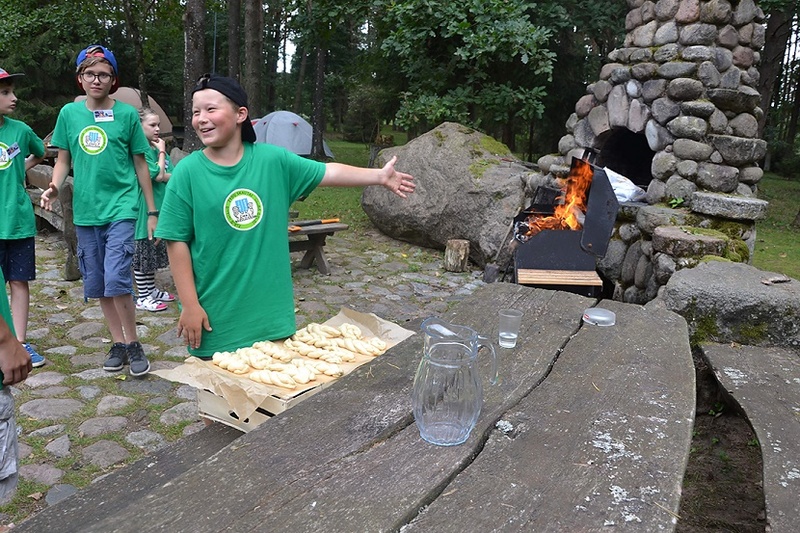 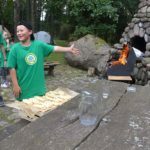 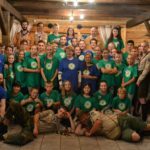 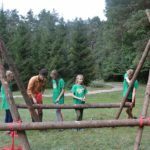 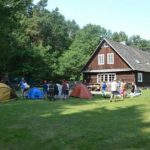 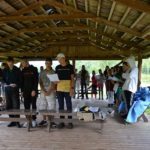 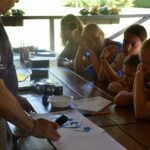 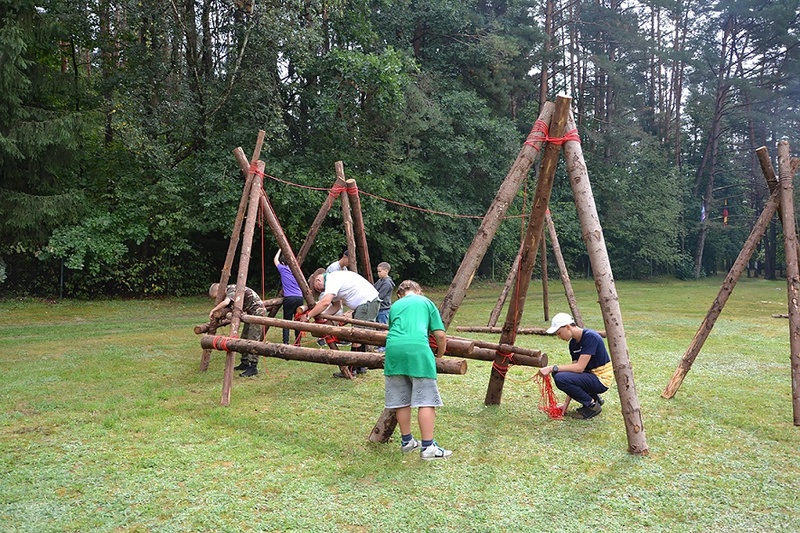 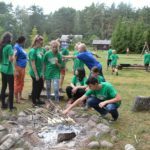 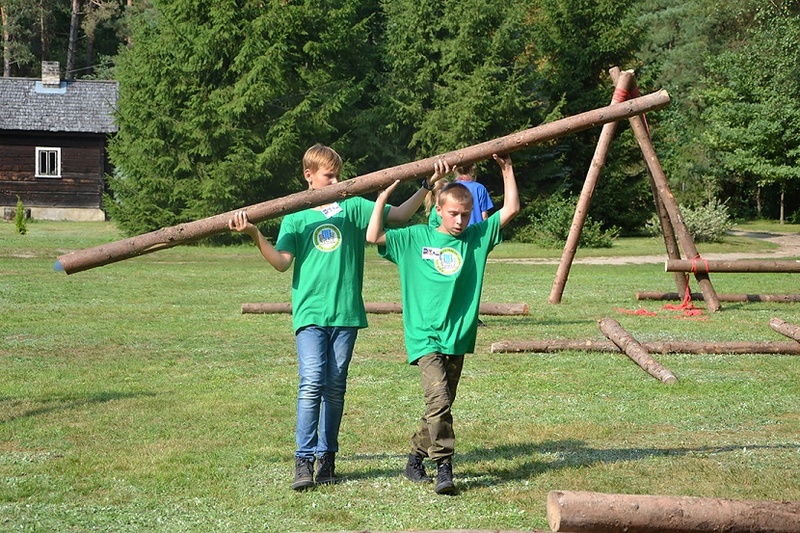 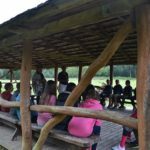 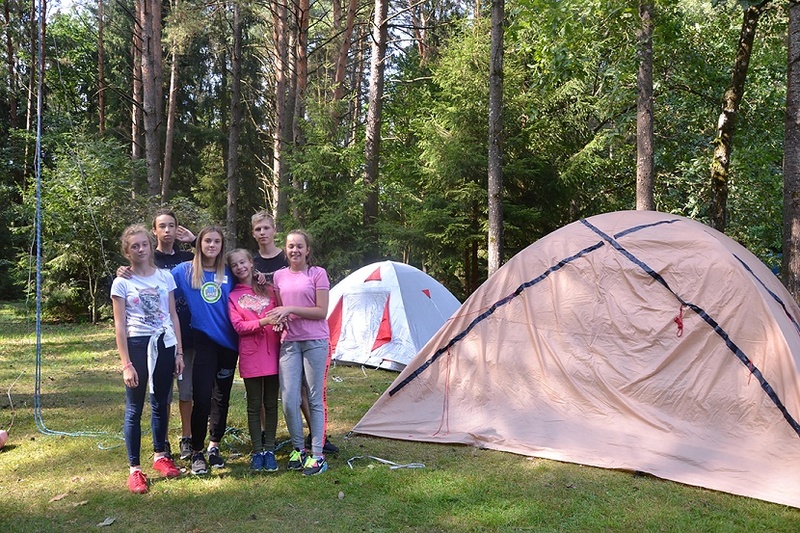 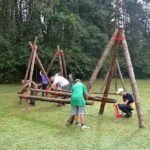 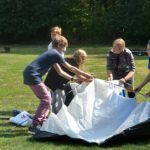 The first new Litvak scouting camping trip with children from Vilnius, Kaunas, Klaipėda, Panevėžys and Molėtai took place over the weekend. 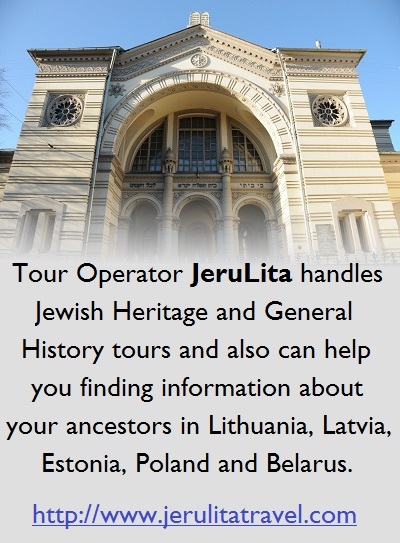 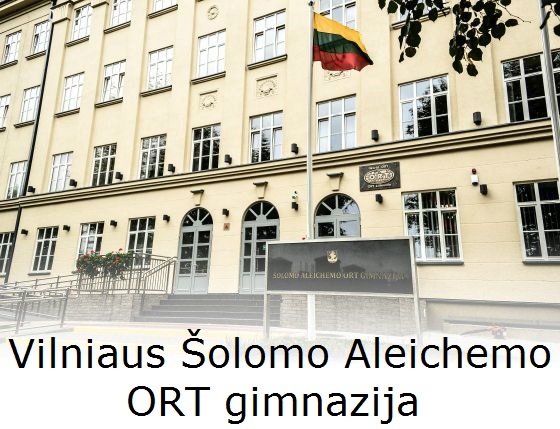 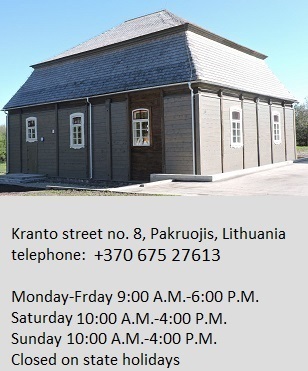 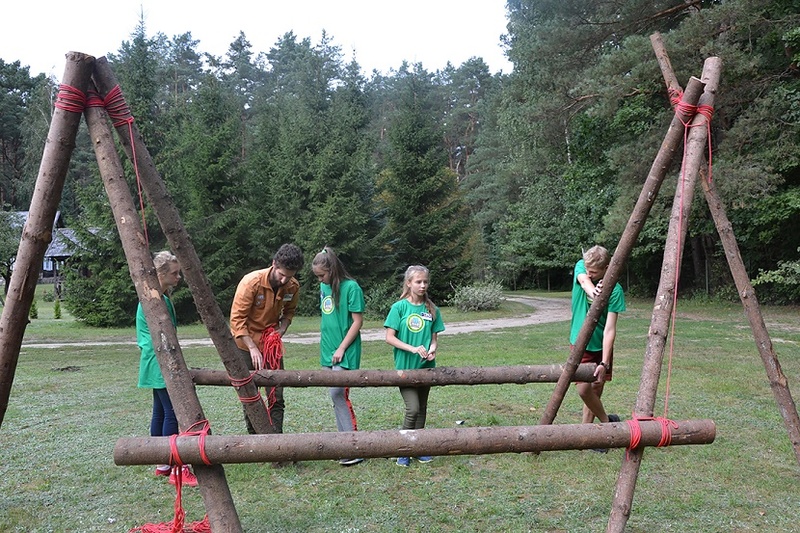 Litvak scouting has a long tradition in Lithuania until the Holocaust and there were thousands of scouts. 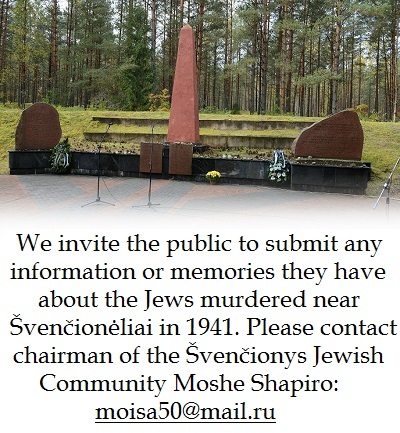 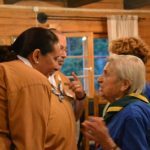 Jewish scouting stopped after the Holocaust, making the revival, Sabbath in the Forest, an important milestone. 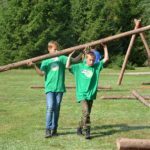 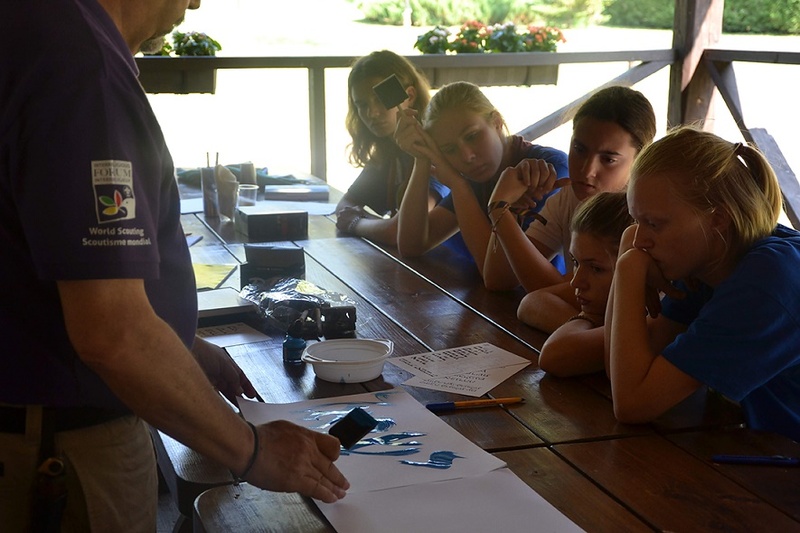 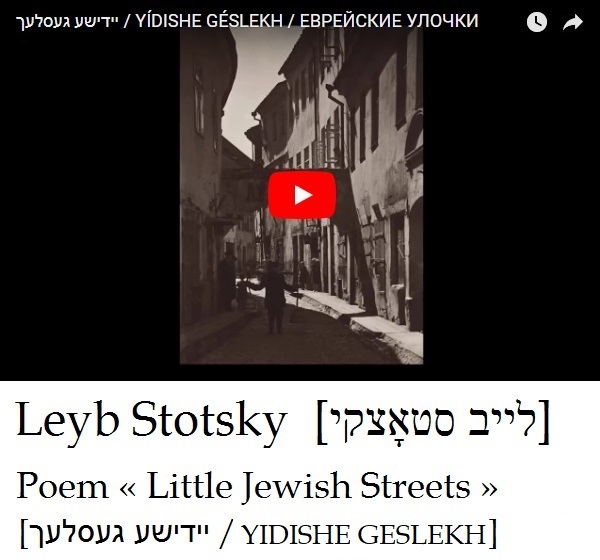 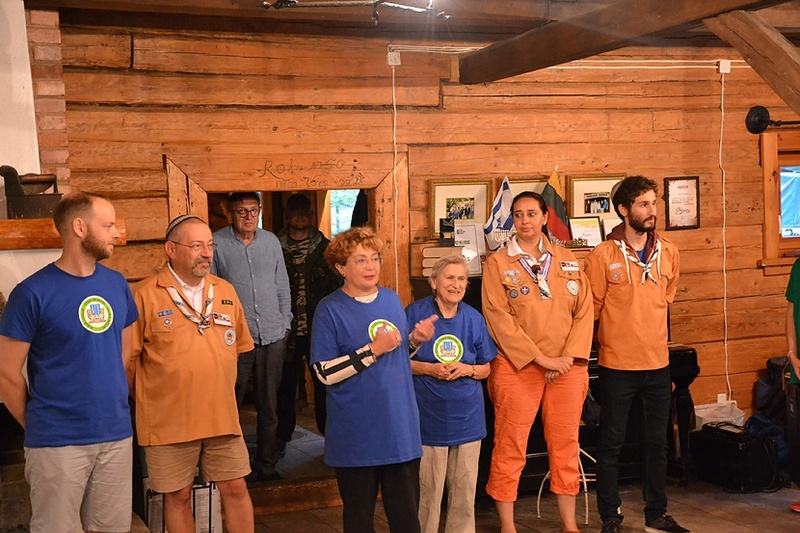 The goal of the renewed organization is to include religious Jewish children, secular Jewish children and non-Jewish children in Jewish scouting activities. 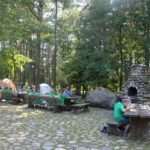 The main concern is to make sure minimal standards are adhered to to allow religious Jewish children to attend the camping trips. 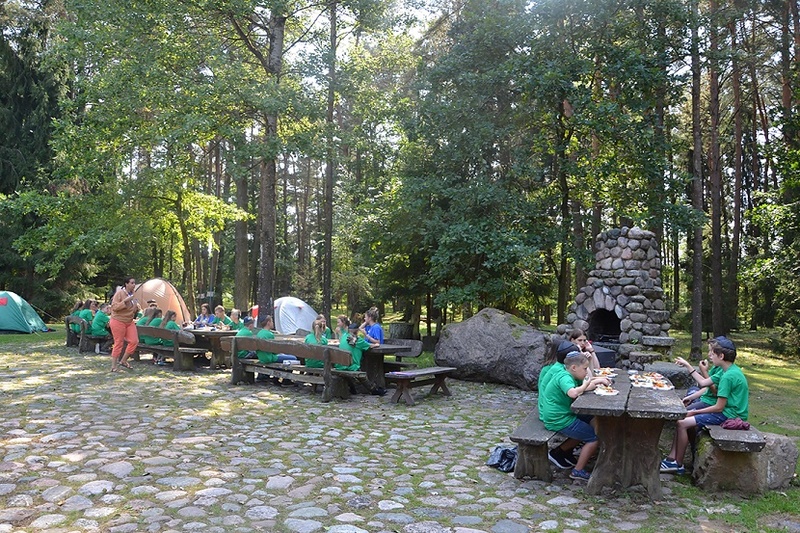 The camping trips place special emphasis on Jewish religious traditions and prayer, serve kosher food and observe all the requirements of the Sabbath. 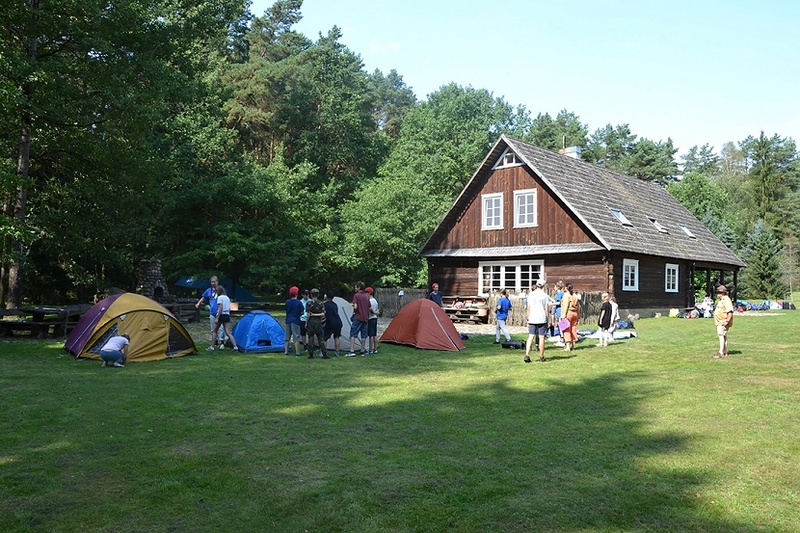 Many of the children experienced the great outdoors for the very first time, setting up tents and sleeping in them, setting up wooden picnic tables, cooking bread on the fire and challa in an outdoor oven and going on an evening hike. 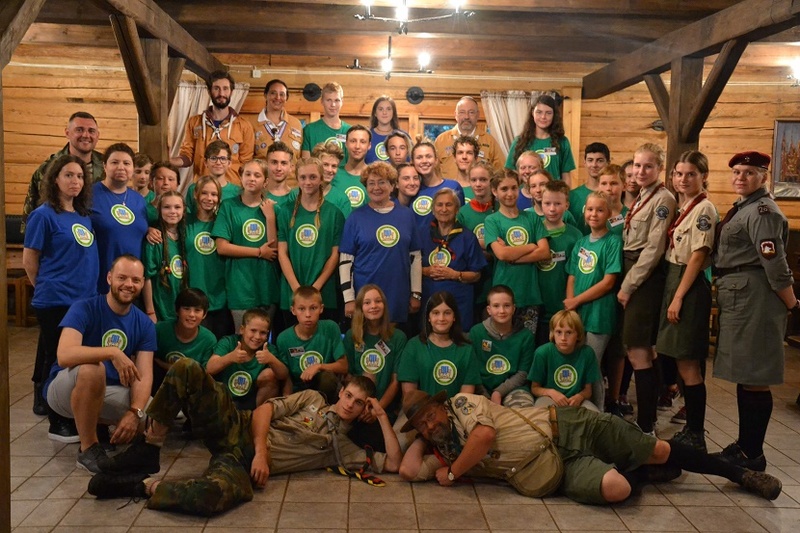 Fania Brancovskaja, a member of the Bin scouting organization in Vilnius, ushered out the Sabbath last Saturday. 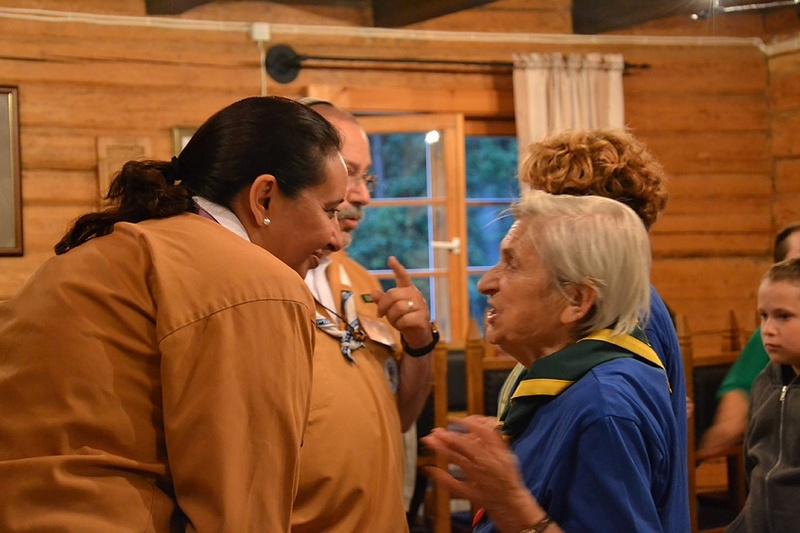 The scouts called her “Sister Fania” as she shared her experience in scouting and stories about the scouts in pre-World War II Lithuania. 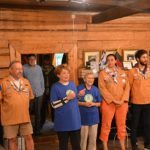 Fania was presented a Lithuanian scouting necktie. 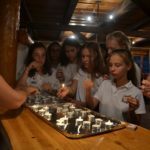 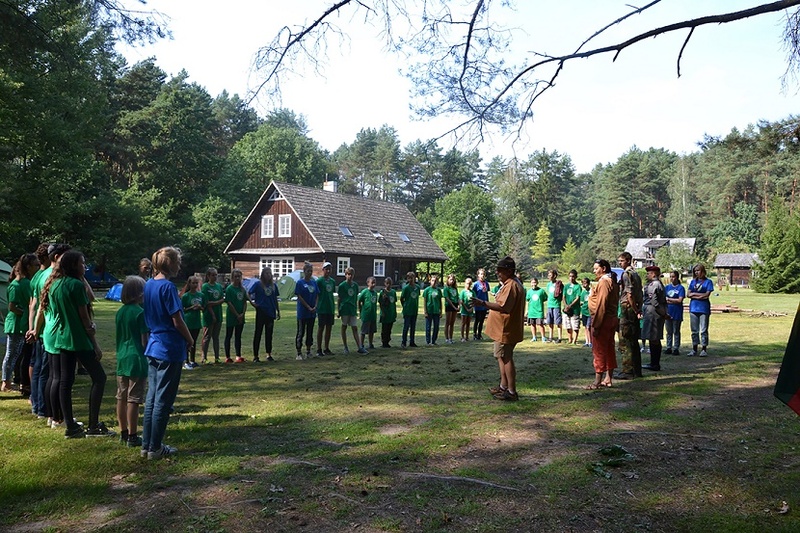 Lithuanian Jewish Community chairwoman Faina Kukliansky attended the camp and welcomed all campers, expressing joy at their enthusiasm and hoping the organization would stick together for many years to come, thus strengthening the Jewish community. 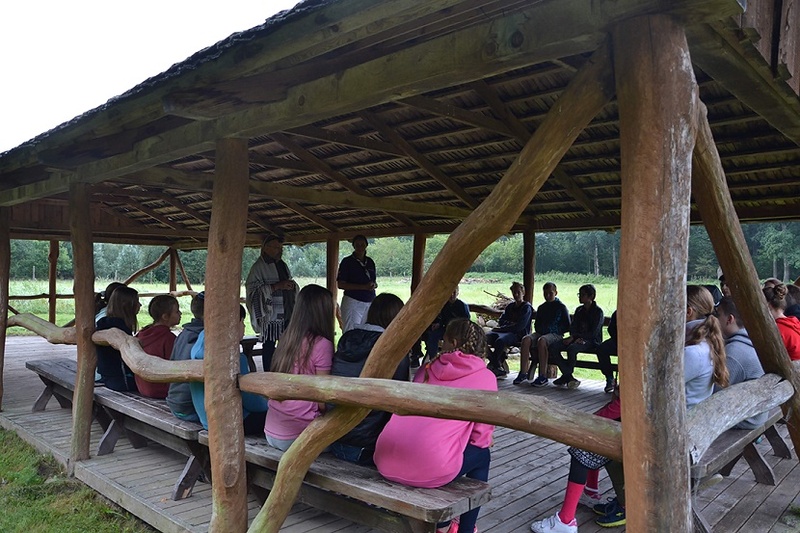 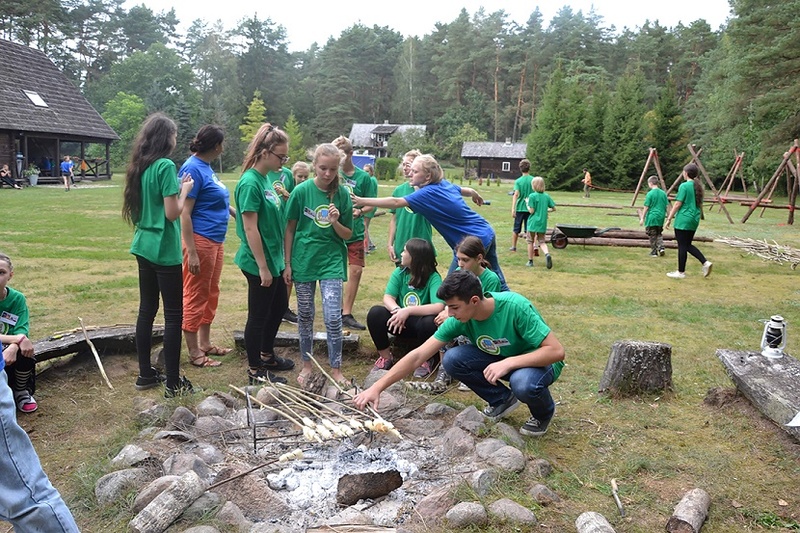 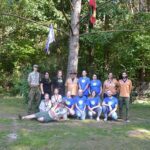 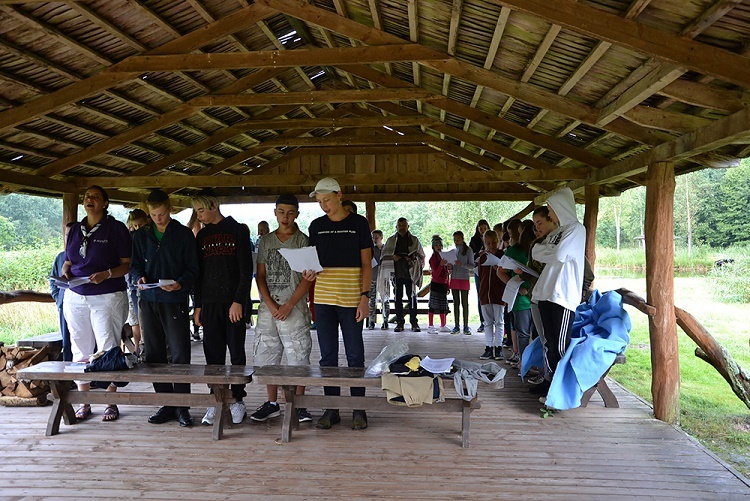 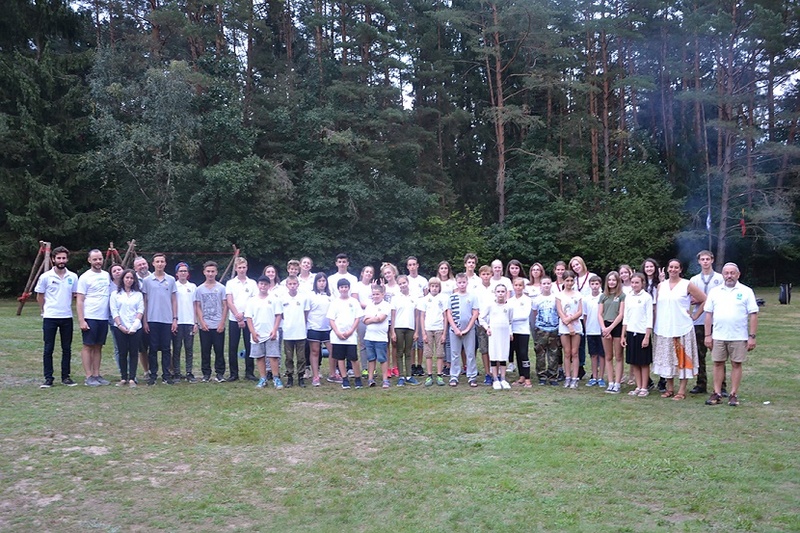 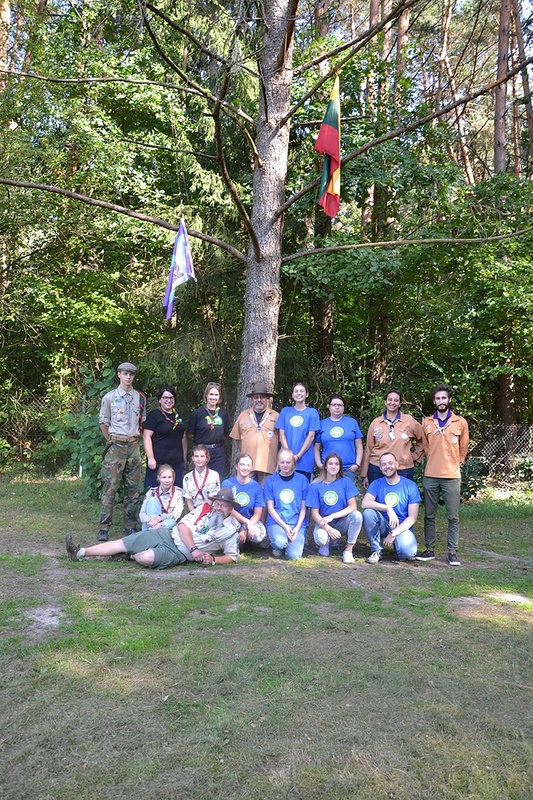 The Sabbath in the Forest camp was held in cooperation with the Lithuanian Jewish Community, the International Forum of Jewish Scouting and the Polish-Lithuanian Hartzer Union of Scouts (Związek Harcerstwa Polskiego na Litwie). 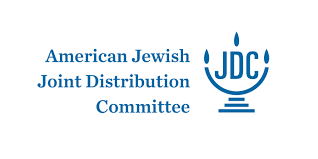 We would like to thank all the chairpeople of the regional Jewish communities for their enthusiastic cooperation in making this camp possible for the children.